Ok, so this photo is kind of random, I admit it… but I like it! 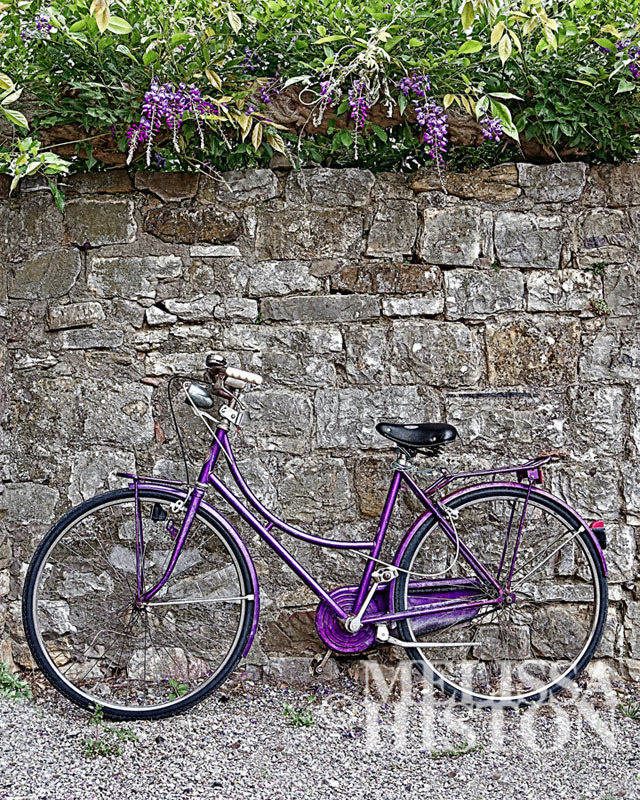 I was overseas and literally walking along a dirt road and I looked and went, ‘Huh, a purple bike leaning on a wall under some purple wisteria, never seen that…’ and I had my camera with me so I took a photo! Simple I know, but I liked the composition. Tags: art, Australia, beauty, blossoms, earth, fine art, flowers, landscape, life, Melissa Histon, Melissa Histon Photography, nature, photography, spring, trees.